On April 17, 2016, some of the best and brightest student leaders and budding entrepreneurs in the country gathered together to compete for the top spot at the National Business Plan Competition, sponsored by HSBC. 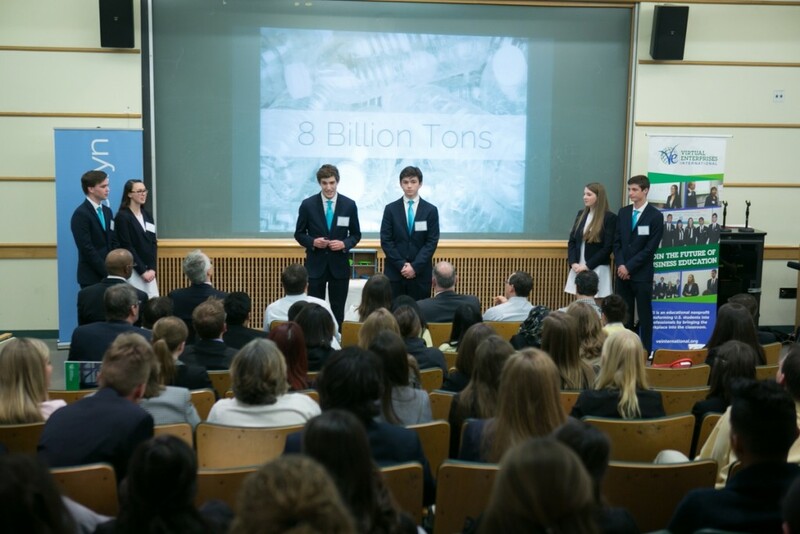 Teams representing 28 VE companies from around the country had their written business plans and oral presentations judged by industry professionals and educators. Keynote speakers were Alfred R. Kahn, CEO of CraneKahn, and Jeffrey C. Taylor, Co-Founder and Managing Partner of Digital Risk, LLC. Thank you to all students, teachers, administrators, judges, staff, business mentors and partners, volunteers, parents, our sponsor HSBC, and our host Long Island University Brooklyn. View the 2016 Youth Business Summit Booklet for full list of participants.